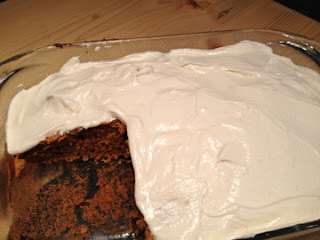 1 cup butter, at room temperature - I used Becel margarine! In a saucepan, whisk the milk and flour together over medium heat until it begins to sputter (be sure to whisk constantly). 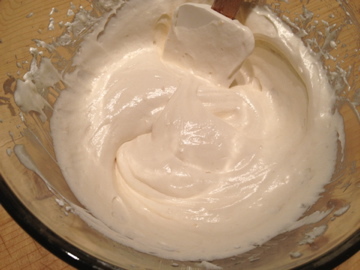 Continue to stir as the mixture thickens, it will quickly become the consistency of thick cake batter. Stir in the vanilla and set as to cool completely. While it cools, beat butter and sugar until light, fluffy and white in color. You can use a stand mixer or a hand held mixer on medium speed for 3 minutes. Make sure the sugar is completely incorporated into the butter. 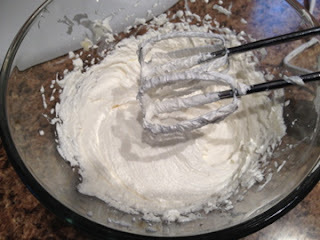 When the milk/flour mixture has completely cooled, add it to the butter/sugar mixture. Beat all ingredients for about a minute on high speed, until everything is well blended. The frosting show be as light and fluffy as whipped cream. And there you have it! 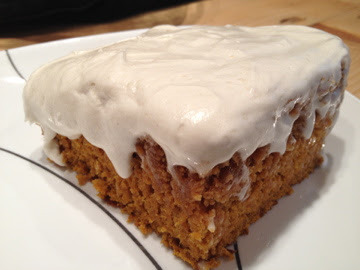 I put it on a pumpkin cake and my husband loved it! I am putting it in my recipe book next to my favorite homemade cream cheese icing! It is absolutely delicious, light and not too sweet! I can't wait to make it again - I hope you enjoy it!